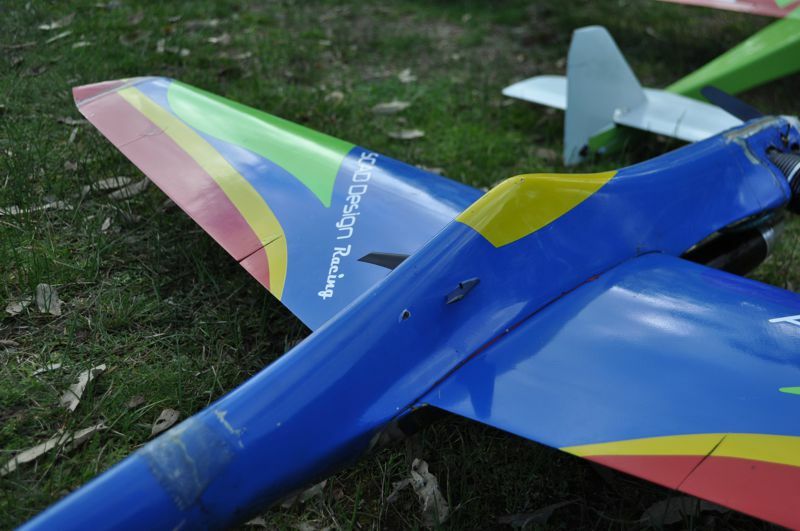 Ideal for use in high performance carbon fibre moulded R/C gliders and pylon racing model aircraft such as F5D, F3D, Q40 Q500 classes and much more. These antenna mount winglets are designed specifically for mounting 2.4GHz receiver antennas externally to avoid RF shielding caused by the carbon fibre often used in moulding of these high performance racing aircraft. 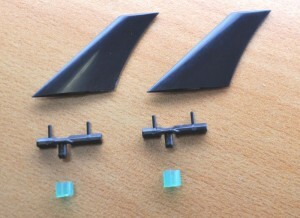 Allow external mounting of antennas to carbon fibre fuselages. Is of a low drag aerofoil design. 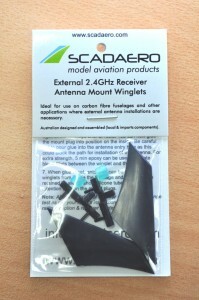 Antennas don’t flap in the wind, which when models are flying in excess of 300kph, can cause high frequency fatigue and damage leading to reduce reception or total lost of reception. Antennas are maintained at the require 90 degrees alignment to each other for most effective reception. Antenna coaxial cable is held firmly avoiding the possibility of it falling into the fuselage and being shield by carbon fibre. Ease of installation with supplied drill templates, internal mount plug and coaxial cable retention sleeve. CA or 5 minute epoxy glues are required to complete installation. Winglets fitted and ready for racing. This fuselage is a full carbon fibre mould and requires the antennas to be fitted externally. Last but not least, they look COOL! Availability: Wholesale & retail inquiries welcome. SCAD Design (Product & Industrial Design).